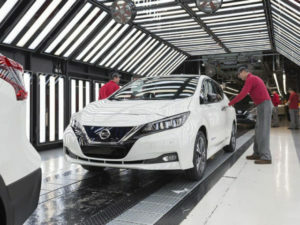 UK car production rose 5.2% in April, driven by the launches of new models. Figures released today by the Society of Motor Manufacturers and Traders (SMMT) show that a total of 127,952 vehicles rolled off British production lines last month, up on last April when Easter bank holiday timing impacted output. Growth, however, was also buoyed by production ramp up at several plants to deliver a number of key new and updated models. Demand was up for both home and overseas markets, with exports accounting for 81.0% of total output. However, year-to-date, overall output remains down by 3.9%, with a total of 568,378 cars leaving production lines in the first four months. Four-fifths of these were exported, as domestic demand fell 10.3% against a less substantial 2.2% decline in vehicles destined for global markets.